Iran has taken delivery of new oil supertankers. The National Iranian Tanker Co. has acquired four new supertankers in mid-2013 as part of efforts to maintain the nation’s crude oil export industry. The supertankers were said to have a capacity of two million barrels each. Iran’s state-owned Press TV said China plans to complete the delivery of the vessels by 2014. Iran has taken delivery of several new tankers from Chinese shipyards, giving it greater flexibility in maintaining oil exports in the face of Western sanctions. 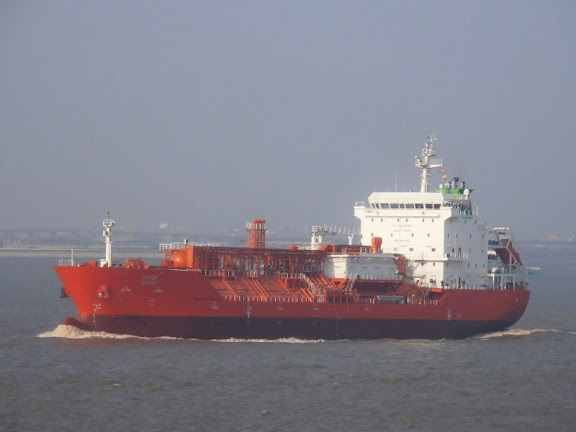 Since the start of 2013, two supertankers have joined Iran’s trading fleet, with another three new vessels having arrived in recent months, according to industry sources and shipping data. Each vessel has a maximum capacity of 2 million barrels of oil. With the latest acquisitions, NITC’s supertanker fleet has been boosted to 30 vessels with a maximum carrying capacity of 60 million barrels. It has an additional 14 small crude oil tankers. The Atlantis and Infinity, the two vessels that joined NITC’s fleet in recent weeks, are part of a $1.2 billion contract with two Chinese shipyards that was ordered in 2009 for 12 new supertankers. The Carnation, Rainbow and Skyline reached NITC last year. Iran today has one of the largest and most modern super tanker fleet with over 2 million barrels capacity. The Chinese are even more eager to build even larger ones so Iran can keep up the exports during all kinds of geo-political scenarios. How sad for Iran to mount the Tanzanian flag on its fleet. thousands ships / tankers are running for exampöe unter panam flag make the people of country of ships-owner are very sad too . All nations do it. It's for tax purposes. a bright idea and good tactic !- how blind you are! The flagging has to do with International Maritime Taxation regime and most US ships fly Panama, Cyprus, Liberia, Tanzanian etc flags as in terms of registration fees and taxes, these nations are considered to be among the most tax effective. Merchant vessels change flags regularly. Some of you anti-Iran kids really need to go to skool. LOL. Before you start giving out advice to others,learn how to spell SCHOOL ! That was the whole point you silly fool! LOL.